This business of scale continues to baffle. In an earlier blog - 25th December, last year - I thought I had convinced myself that there was no problem and that one could place HO scale motor cars/buildings/trains/pedestrians etc next to one another and each item would seem to be of the same scale as every other item. 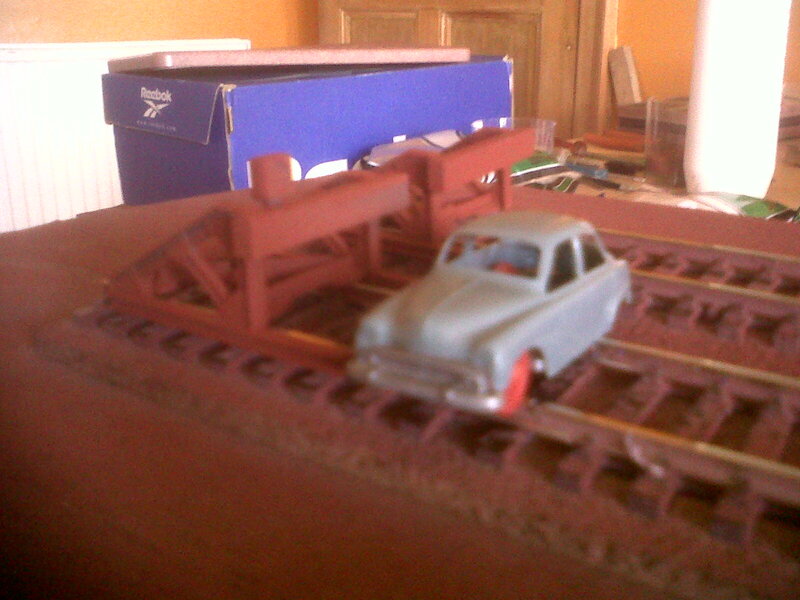 But look at this photograph of an HO scale Simca (I know it's HO scale because it says so on the chassis) next to a pair of HO scale Roco buffers (I know they're HO scale because it says so on the packet). 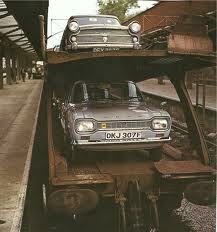 Surely, in real life, a car wouldn't be dwarfed by a set of buffers in the way this Simca is so dwarfed. 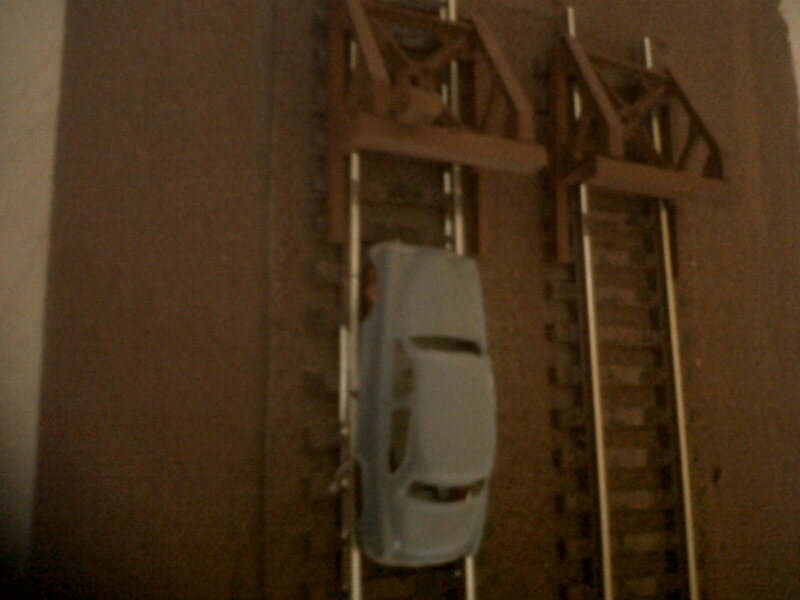 One can compare the width of a car with the width of the buffers on a wagon and then extrapolate to a comparison with static buffers. 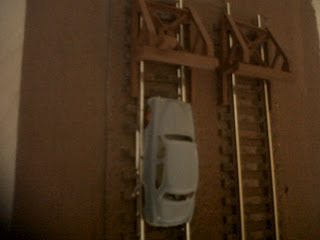 So I positioned the car longitudinally on the track. And I suppose everything is as it should be. 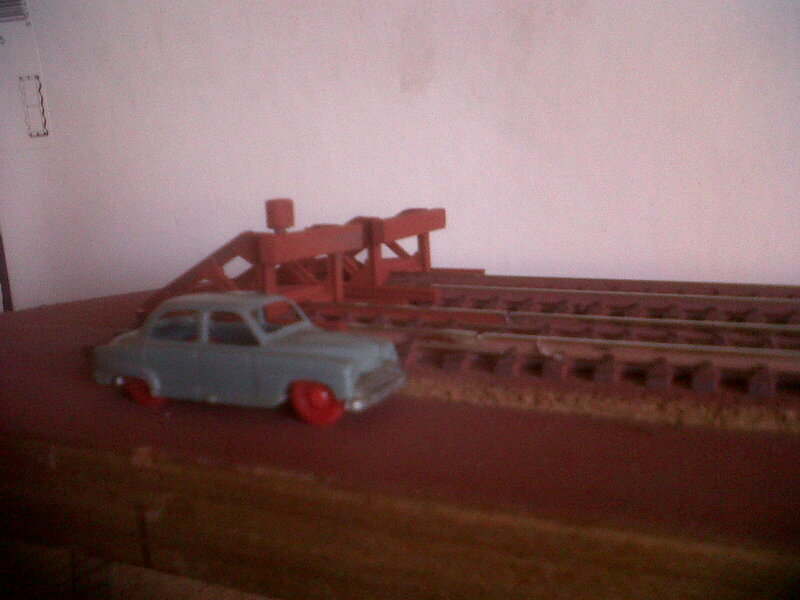 By the way, I love these little windowless model cars from France. The Gram Parsons biography is beginning to flag. Like lots of American biography it is far too packed with research. Parsons' family background was like that of a Scott Fitzgerald novel. Frankly, the biographer could have just written that sentence and I would have felt no less informed. One such observation was comparing music developing in the 50s and 60s in the Southern State where Gram Parsons grew up with that of the communities in the Appalachian mountains. The latter were made up of hundreds of isolated wooden homesteads where individuals would sit alone of an evening playing the fiddle on their porch. Gram's increasingly prosperous community was made up of detached houses each with a garage. These garages provided the crucial ingredient for the development of beat groups - namely, a place to hang out and practice. The fact that the area was more densely populated with teenagers who lived within easy walking distance of each other was another pre-disposing factor. 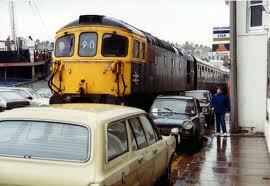 And, I suppose the presence of mains electricity and prosperity also facilitated the development of electric music.